I'm wondering if it will ever stop snowing around here. We have a foot of snow on the ground and it is still snowing! I clearly went on vacation too early this year. I am longing for warmth and sunshine and I don't think we will be seeing the crazy warm temps that we did last Spring. So, the chances of having another 80 degree St.Patricks Day are probably slim. Sigh...Anyway, today is the perfect day for soup. This tortellini soup is a hearty and filling soup and figure friendly! I served mine with a salad and breadsticks. It was delish! 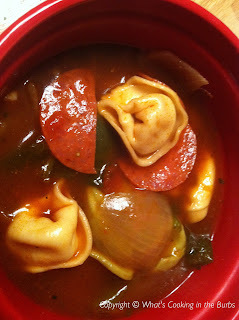 In the bottom of your slow cooker add all ingredients except the pepperoni and tortellini. Cook on low for 4-5 hours or until veggies are tender. Add your pepperoni and tortellini and continue cooking for another 30 minutes. Top with shredded Parmesan if desired. Enjoy! I love that this awesome flavored soup is in the slow cooker, this is a great recipe! 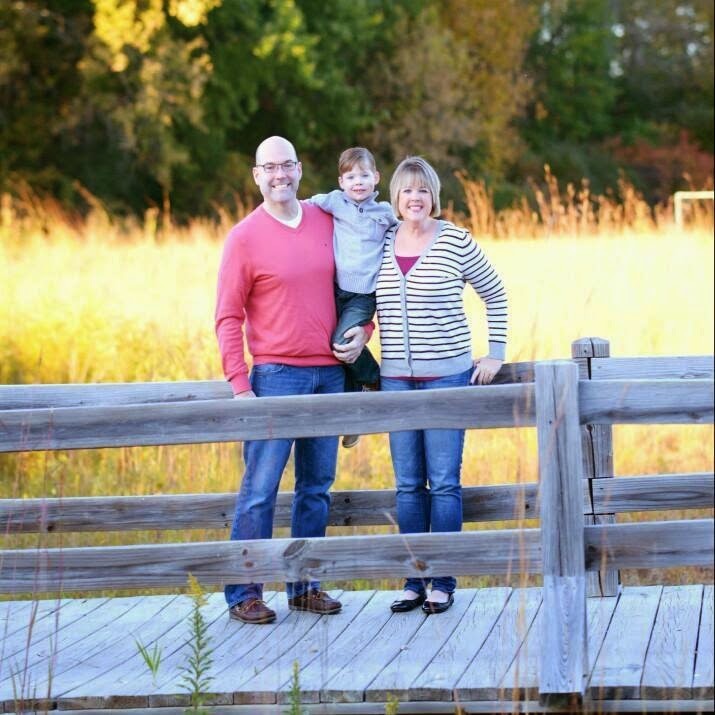 Hope you are having a fabulous weekend and thank you so much for sharing with Full Plate Thursday.